The Consulate of Mexico in San Bernardino, in collaboration with the World Affairs Council Inland Southern California, the Inland Empire Economic Partnership, and the Riverside County Economic Development Agency Office of Foreign Trade extend an invitation to community and business leaders to attend this important conference. The United States-Mexico-Canada Agreement or USMCA represents the renovated efforts of three countries willing to continue commercial collaborations. Salvador Behar, has been vital for the instrumentation of the renewed agreement with two of Mexico's most important trading partners, the US and Canada. 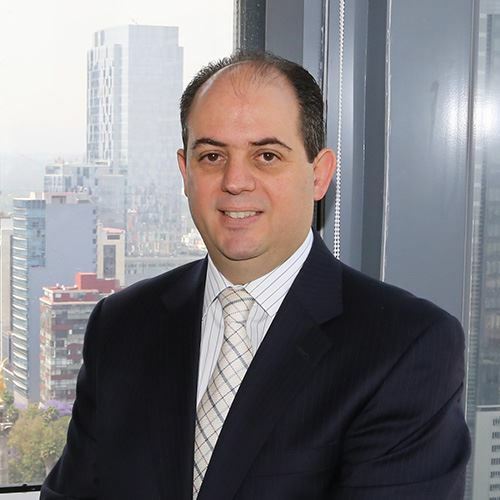 Mr. Behar is an expert in International Law and Foreign Trade Affairs and returned to Mexico after 15 years of service as a Legal Consultant for International Trade at the Mexican Embassy in Washington, DC. This event brings to the Inland Empire business community and its attendees the opportunity to hear firsthand on the content, impact and renewed commercial relations the USMCA agreement represents. We are honored to have Mr. Behar as our guest and congratulate the efforts of all the institutions and people making this possible. Select the level of membership to which you want to apply (Regular, Supporting, or Consul) and complete the form that comes up upon selection of that choice on the webpage. Submit payment via PayPal through the website or download the pay-by-check form and mail in your membership. We look forward to seeing you on October 25th.